For the past decade, the internet has been swirling with rumors and anecdotes linking routine vaccinations with devastating illnesses, especially autism. Some have even claimed that routine vaccinations are responsible for HIV. The National Committee on Quality Assurance – a nonprofit that tracks the quality of health care – has reported that the number of children being properly immunized while on private healthcare plans declined by 3.5% from 2010-2011. Amongst those on Medicaid, the rate of decline is even greater. Whether driven by uncertainty, paranoia, the internet, or misinformed celebrities – there has been a wave of parents choosing to “protect” their children from routine vaccinations in the fear that they’re putting their children in harm’s way. They’re choosing “philosophical exemptions” to opt-out of basic immunization requirements, thinking they’re playing it safe by avoiding vaccinations. Part of the problem is a fundamental lack of education amongst many who reject routine vaccinations. Ask these parents about Polio or Smallpox, and you’re likely to be met with a blank stare. Yet they could point you to the random websites or discredited studies where they found evidence that routine shots will make their children autistic or chronically ill. 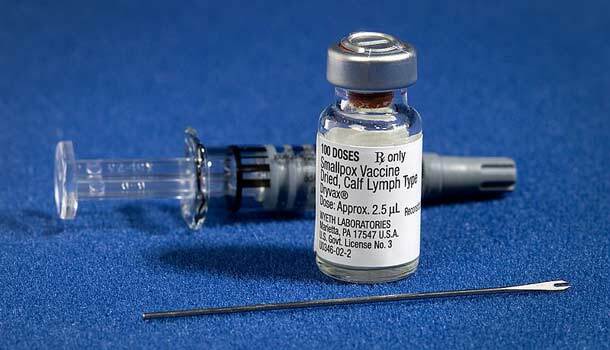 While vaccines may have successfully eradicated smallpox, many diseases, including whooping cough, measles, meningitis and even polio still require the protection of vaccinations. In many ways, vaccines have been a victim of their own success. In a little over half a century, they have been so successful in eradicating a large swath of once life threatening, horrifying diseases, that the current generation has little memory of the horrors and widespread prevalence of many of the diseases that have been largely eradicated through immunization. Not only do vaccines provide protection to the individual, but an immunized community provides “herd immunity” as well. That’s because an individual vaccination is usually not 100% effective, but once a certain majority of a community is vaccinated (this number varies depending on the infectiousness of the disease), the risk of outbreak effectively reaches 0. But when a significant percentage of the population refuses vaccinations, outbreaks can occur. Such was the case in California’s 2010 outbreak of whooping cough in an area where a large number of people are known to refuse vaccines. 6,000 people were affected with whooping couch, with 10 dying. The only reason the few who opt out of receiving basic vaccinations are relatively safe is because the majority of the community is vaccinated. With Polio for example, if 70% of the population is vaccinated, this is enough to reach “herd immunity”. With a more infectious disease like measles, this rate stands at 80%. Any number below this creates a risk of major outbreak. A child’s immune system is more than equipped to handle the vaccinations administered as a part of a basic school immunization program. Every day in their environment, the child’s immune system faces challenges from bacteria in our food, water, and air that greatly exceed what a few vaccinations have to offer. A study by immunologists at the University of California, San Diego has shown that young children could safely receive as many as 100,000 vaccines at one time. On the other hand, the Center for Disease Control only recommends a basic vaccination schedule against 14 diseases over 2 year period. The origins of this myth are founded in a single 1998 study authored by Dr. Andrew Wakefield and colleagues. The study indicated that 8 out of 12 children had parents who linked their child’s behavioral problems to the measles, mumps, and rubella vaccine. Thanks to Wakefield’s poorly conducted science and sensationalistic reporting, the study caused a panic which resulted in MMR vaccination rates dropping and measles rates skyrocketing. The editors of the journal which published the study later retracted the paper, offering evidence that the study was based on false information. Many journals that published the initial study also published studies that demonstrated that the MMR vaccine isn’t linked to an increase in autism rates. This included a large, long-term study of 537,000 children in the New England Journal of Medicine that found that rates of autism were the same in children who had received the MMR vaccine, and those who had not. It’s true that vaccines are not 100% safe. But neither is getting in a car, or walking down the street. But the truth is that vaccinations are significantly safer than either of these activities we take on every single day. The risk of a life-threatening complication from modern vaccines are astronomically low. People who believe the “better play it safe” myth fail to take into account the risk of going unvaccinated. For example, in the United States where immunization is performed, rotavirus kills 20-100 children each year. But worldwide, a staggering 3 million children are estimated to die from rotavirus each year, mostly in countries where basic immunization has not been performed on a wide scale. The risks of not receiving basic vaccinations far outweigh the dangers of immunization, not just to the individual, but to the community as a whole. This myth is only possible as a result of under-education, ignorance and a lack of historical perspective. Leaving aside the complete elimination of smallpox as a result of communal immunization – a horrifically infectious disease with a 30% mortality rate that killed an estimated 300-500 million people in the 20th century alone – vaccines actively work in our communities to prevent once common diseases. Are Vaccinations A Government Conspiracy? Unfortunately, many parents will continue to deny their children basic vaccinations based on internet rumors and quackery. Attempts to convince these parents otherwise are usually met with strong resistance and objection, even when confronted with solid data and logic. Unfortunately, like in many areas of pseudo-science and conspiracy theorizing, misguided parents will continue to use anecdotal evidence, internet rumors, hand-picked statistics, and the conflation of causation with correlation to deny the benefits of basic immunization. What’s the solution? Is it better education? Should basic logical fallacies, fundamental statistics and the human mind’s fallibility to misguided heuristics be better taught in schools? Feel free to share your thoughts in the comments below.